A diverse community, many attractions, and friendly residents are just one of the things that attract people to move to Sanford, FL. However, they are sometimes not sure how to move there and what are the best local movers Sanford FL. AAA Insta-Move is a company that has been working for many years to satisfy the needs of its clients. We are dedicated to our work and that’s why we are one of the best moving companies Sanford FL in business. We offer highest-quality moving services and do everything to complete all your requests – all that at reasonable prices. Our movers Sanford FL are dedicated to making your relocation process smooth and efficient, and most importantly – stress-free. Let’s start with some basic information about this interesting city. Sanford is a city with a population of around 59,000. Its average home price is around $182,000, and the job market is very strong. Its advantages are definitely entertainment options and attractions and the reason why people really enjoy living here. If we need to say a disadvantage of living here – it could be the weather. Sometimes, summertime can be really hot and humid, but it is not the biggest problem. AAA Insta-Move is one of the highest-quality moving companies Sanford FL. Our professional team is skilled to face any challenges that may come up during a relocation. 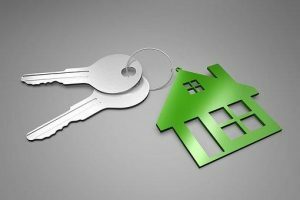 We are ready to move any type of property, both residential or commercial – we are there for you. What’s our best advantage – we offer the complete package. Our services range from packing, loading, transporting and even storage. So, you can get the whole moving package – at affordable prices. We think about our customers so we do our best to coordinate the quality of our services with reasonable pricing. What do we offer as movers Sanford FL? If you are moving to Sanford, FL, you are in luck. By choosing AAA Insta-Move,one of the favorite moving companies Sanford FL you can have a full range of moving services and enjoy a premium, smooth, efficient move. 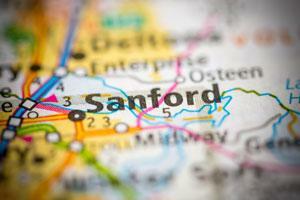 Residential move is something our movers Sanford FL can easily help you with. Moving an office can be even more complicated than moving home. 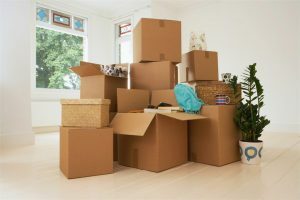 There are many documents to sort out, employees to inform, and office furniture, electronics, and other items to pack. Packing the office equipment is a delate work since most of those are sensitive to tumbling and weather conditions (especially computers, TVs, etc.). That’s why professional moving help is necessary. Our commercial movers Sanford FL are skilled to deal with all your office equipment and furniture. They are ready to relocate your office as quickly as possible, so you can continue your work right away. full service – we give you all. From packing your office equipment and specialty items, to transport and set up of your new office. Only with AAA Insta-Move you can have everything! Professional team – our movers Sanford FL are experiences in all kinds of commercial move and will relocate your office safely and quickly. Storage – we offer you safe storage and warehouse options, so you don’t need to let your clients down. Moving an office has never been easier! Let us help you with your commercial move. safe – we always stress how important safety is. You can enjoy the full protection of your items and never worry about their safety. flexible – you can either choose long-term and short-term storage – whatever you need. easily accessible – our storage units are easily accessible anytime, so you don’t need to worry about the time when you need your items from the storage. You can always visit our website and get a free moving estimate. That’s you first step in hiring us. You can get the idea of your moving costs and prepare for the move. Next step is making an on-site inventory list of your items, so you can get a complete and precise specification of your costs. You can get our premium services at reasonable pricing. Our prices are clear and precise, without any surprise fees and hidden costs. Our moving crew is made of trained, experienced and licensed movers Sanford FL. You can easily trust them with your items, even your valuable and breakable possessions. They will pack them securely and transport them quickly to your new home or office. We are proud to tell that we are skilled in specialized moving. We are ready to deal with your fragile and valuable items, like art pieces, pianos. Your valuables will be completely safe with us so you don’t have to worry about them being transported to another location.